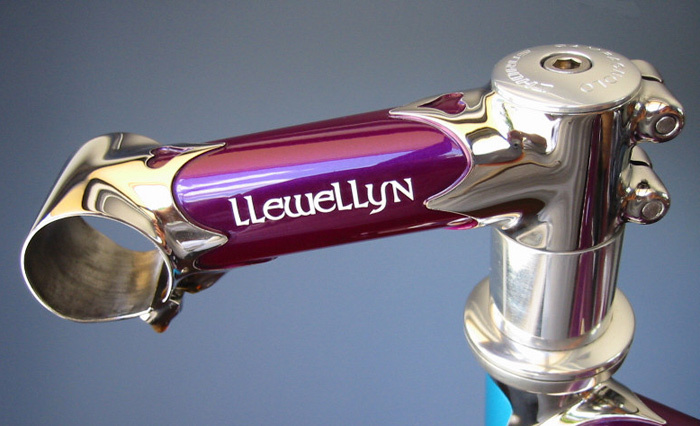 A custom lugged stem created from proprietary Llewellyn stem lugs adds a finishing touch to your custom Llewellyn. CNC production machined aluminium stems with their block anglular shape do not compliment the lines and aesthetics of fine hand made lugged bicycle. For many years I was making custom fillet brazed threadless fork stems that were painted with the frame. 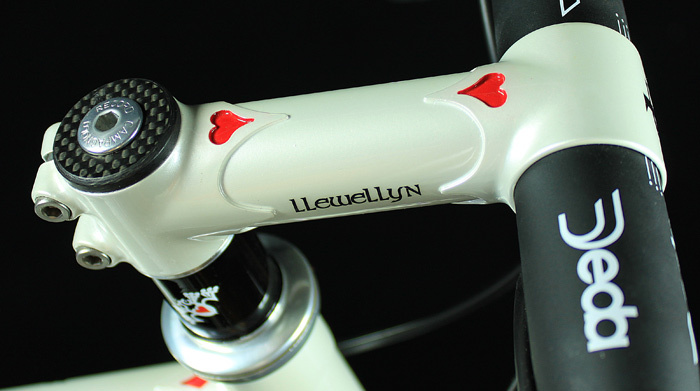 However these still did not have all the qualities I felt were desired to complete the Llewellyn Custom Bicycle. 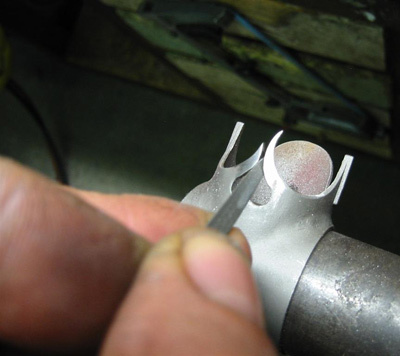 What was needed were stems made with lugs to compliment frames made with lugs. 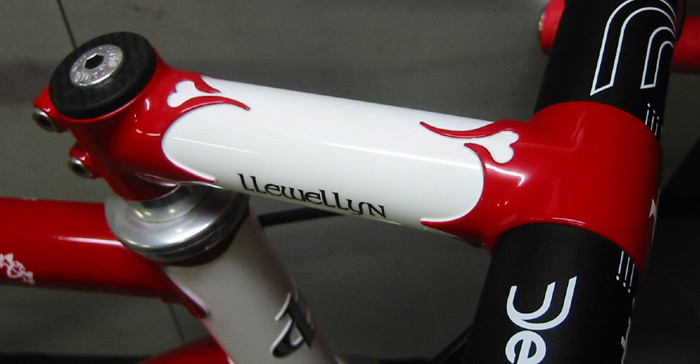 There were no lugs available to frame builders that fit contemporary handle bar sizes and larger fork steerers so I was set on the path of designing and producing my own Llewellyn stem lugs. Problem solved and overwhelmingly successful with Llewellyn owners. 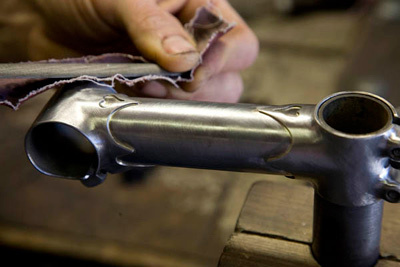 Every frame leaves here with a lugged stem that is made with the same care and attention as the frame and fork. The stem lugs are always made of investment cast stainless steel which removes any corrosion potential with handle bar and foirk interfaces and the lugs lend themselves to custom shaping. In the Lucentezza finish level the stem lug are labourisly hand polished to a mirror finish which compliments the Lucentezza frame set. The stem tube the connects the lugs is a specially made Niobium seam less cold drawn tube of the exact same metal as the frame tubes and is made by Columbus. Before you ask, I do not build new stems for old bikes or stems for new lugged bikes which are not Llewellyns. 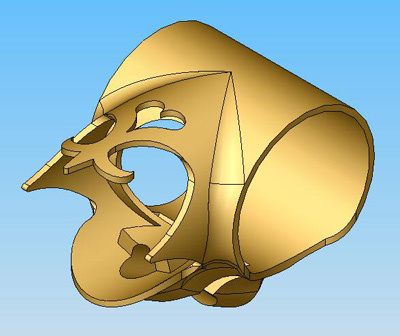 I also do not produce a quill lugged stem.